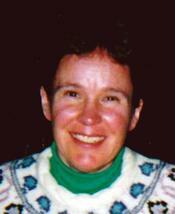 Susan C. Brachna (nee Chamberlin) age 60. Beloved wife of Gabor S.; dear mother of Christopher G. and Jonathan C.; sister of William (Ellen) Chamberlin, Steve (Shannon) Chamberlin and the late John Chamberlin; aunt of Clair, Mary and Bo Chamberlin; daughter of the late Dr. William and Isabel (nee Dempsey) Chamberlin. Memorial service 3PM SUNDAY DECEMBER 1ST at Church of the Saviour 2537 Lee Rd. Cleveland Heights, Ohio.